“Bring it on!”, that was the reaction when the idea of a short, hard ball cricket tournament was mentioned to the member clubs of the TCA. There is no dearth of softball cricket in Japan, many of the clubs have some kind of hard tennis ball tournament on their own in various formats such as Tokyo Premier League, The T-8, Saori Cup, Pakistan Independence Day Cup, Kasugai Cricket League etc. 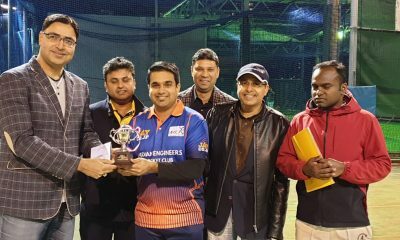 After the Kanto Cricket League (KCL) was brought under the TCA and cash awards were announced the excitement of the clubs were palpable. So, the TCA executive board brought in the idea of a marquee tournament that will have the hall marks of a big league but short and sweet. And Tokyo Blitz was born! The next challenge was finding sponsors. Some late-night phone calls, lunch and dinner meetings explaining the purpose of the TCA, what this tournament will do to the TCA and confidence of the member clubs, and how it is likely to reshape the existing award structure in many tournaments helped convince sponsors to sponsor generously. TopTech Informatics(www.toptechinfo.com), Jarman International(www.jarmaninternational.com), Jyounan Private Limited (Jayasinga), Shahani Associates(www.shahaniassociates.com), Jay Enterprises(www.jay.co.jp), Senshin Technologies(www.senshintech.com) were the sponsors the tournament. 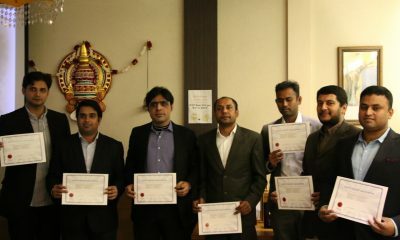 The tournament committee then organized the awards in such a way that maximum number of teams are rewarded in some manner. So, cash awards were announced not only for the winner and runner up but also for the semi-finalists, 5th and 6th placed teams. Best performances (man of the match awards) during the semi-final games were also decided to be recognized. Thanks to the generous sponsors, total prize money and other awards of the Tokyo Blitz was over JPY700,000. Fitting the grandeur and scale of the tournament the Deputy Chief of Mission of the Indian Embassy, Tokyo – Mr. Rajkumar Srivastava and Secretary of the Sri Lankan Embassy, graced the inauguration. A brief introduction of the VIPs by Biju Paul, the President of the association, and a short speech by Gurdeep Dua, the Vice-President, emphasizing the spirit of the game was followed by speeches of the DCM and the Secretary. This was a momentous occasion for the Tokyo Cricket Association! The action then moved to where it should be. The pitch. The Secretary bowled the first ball and the DCM defended it – with a good looking forward defense shot. Calls of “one more!”, “one more!” forced the Secretary to bowl two more balls and the DCM played both of them with elegance. Apparently, the DCM is an avid cricketer and was ready to play a game! A memorable commemorative group picture of all team captains were taken along with the chief guests and the tournament trophies and mementos. Tokyo Blitz was the first ever white ball tournament in Japan. Nine teams participated in this Inaugural Edition and they were divided into 3 groups. Day 1 was preliminary ranking round, each team played two preliminary matches against their group teams. The matches were scheduled as early as 7AM and the teams were eager to come as early as 6:30 am for the toss. The Tournament committee helped prepare the ground from 5:30 am and Nagoya team players arrived by 6 am from Nagoya to watch the games and plan their strategy (Early bird catches the worm, we will know why, later on this report). The opening game was played between the B team of Indian Engineers and new comers Nippon Tigers showcased how even a newly formed club can win games on a grand stage on their debut tournament. As the games progressed, some big hits saw many balls disappearing into the river but replacements were provided quickly to make sure that each match finished within the stipulated time. At the end of Day 1, Teams were grouped according to their points and NRR. Day2- saw toppers, Samurai and Utsunomiya directly qualifying for the semifinals and Pakistan Stars came third in ranking to occupy a space in the Quarter-Finals, leaving the 6 other teams to fight it out in play-off games. The first half of Day2 saw some incredible encounters especially heavy weights Nagoya and Pakistan stars facing each other and not to forget the friendly yet competitive encounter between teams from the same Indian Engineers Club A and B. This brought the biggest of all matches – the final match between the clash of the titans of Japan cricket, Nagoya and Samurai. The match was obviously going to see some fireworks and indeed it did, Samurai had the likes of Hanif Niazi, Raza Ali and Talha Cheema while Nagoya boasted of Safraz, Abdullah khan and Shahbaz Ahmed. Boy! Did the live up to their reputations! Winning the toss, Nagoya choose to bat and scored 68/7 in 5.5 overs (all out). Interestingly, this match saw two retired batsmen from both the teams. Samurai was all set for the chase but lost the plot and ended up with just 4 runs short (63/4 in 6 overs). What a nail biting final it was! Samurai batsmen with the exception of Raza Ali, couldn’t manage enough scores on the board. In the end, Samurai fell short of the imposing total set by Nagoya and could only be termed as second best. The post-match celebration saw some friendly banter and jeering that added to the color of this wonderful tournament. The Edogawa City Councilor, Mr. Hideyuki Masu, was the chief guest for the award ceremony. Mr. Masu promised his support for the activities of the TCA and agreed to help the TCA realize its goal of having a proper cricket ground in Tokyo. 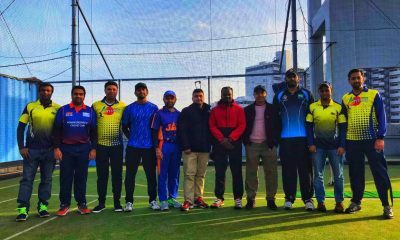 Winners spoke at length of how they enjoyed this tournament to the core, with Abdullah of the winning team terming the organization of the tournament as top-class with another member requesting more of this kind. 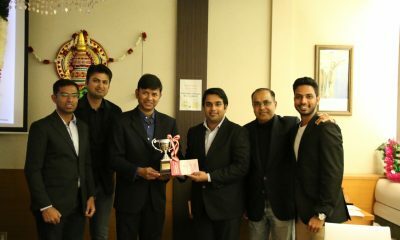 Kudos to the tournament committee headed by Amol Vaidya assisted by Pavethy Nath and Devendra Dhaka. What the tournament brought to light was the unending enthusiasm and whole-hearted support of people who love cricket. With its limited resources, money and time, it was only because of the enthusiasm of the cricket lovers and a sense of deprivation among expat cricket community that brought the TCA into existence and made Tokyo Blitz what it became – a Grand Success!